Everyone is aware from an early age that our bodies need oxygen in order to survive and also that the lungs are responsible for that. This means that any problem in our respiratory tubes and/or lungs can have a serious impact on the body functions and cause several problems. The asthma is a condition that affects our respiratory system and can have impacts on the quality of life of an individual. A lot of people are affected by this disease worldwide, but a lot of people (even the ones affected by this condition) still don't know exactly what this disease is and hopefully, after reading this article you won't be one of them. Asthma is a condition where the breathing tubes (or lungs airways/bronchial tubes) are very sensitive to stimuli. This condition is caused by an inflammation of these tubes that is constant (it is a chronic disease), so when someone has asthma their bronchial tubes will always be inflamed. During the reaction, the muscles around the bronchial tubes start to contract. 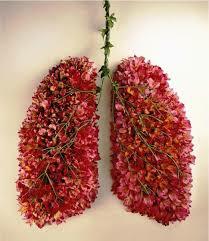 #The bronchial tube also starts to produce more mucus inside it, which also contributes to limit the air flow. Asthma can affect people from all the age groups, but it usually starts at childhood. These symptoms can occur all at once or separate. It is important to know that the symptoms vary from person to person. 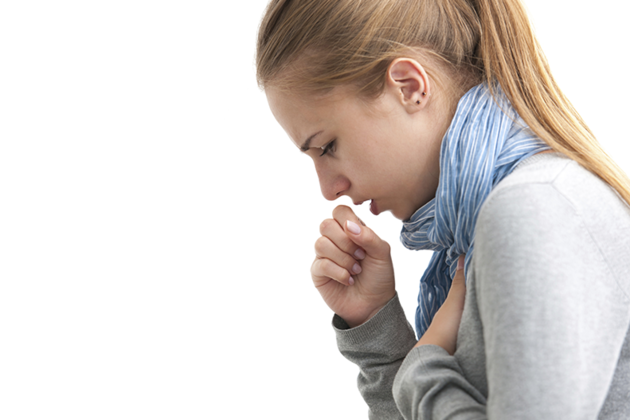 Depending on the presence of triggers or any type of special situation, the patient can develop an asthma attack. The symptoms of an asthma attack are similar to the symptoms of asthma itself but more exacerbated. 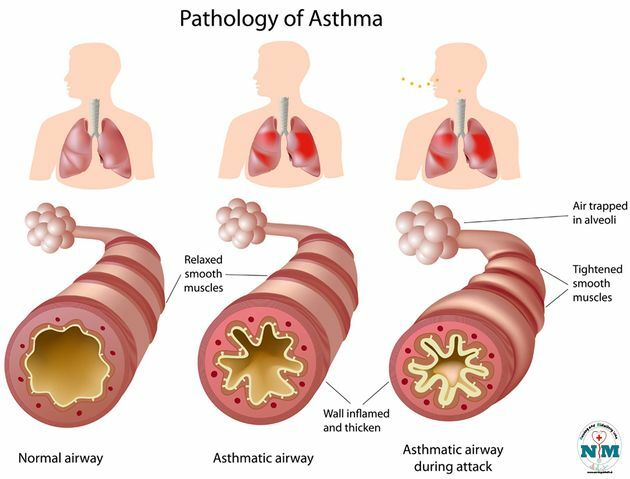 The causes of asthma are not definitive, but research has shown that people with family history of eczema, Hay fever, and asthma are more likely to develop this disease. And when it comes to triggers (stimuli that can start an asthma attack), the most common and well known are exposure to tobacco smoke, pet dander, aerosol products, scents, premature birth, and exposure to dust. The early exposure to these toxic substances (when a baby or a child) is particularly important for the development of this condition. Exercise is also a great trigger for a lot of the patients that suffer from this condition. 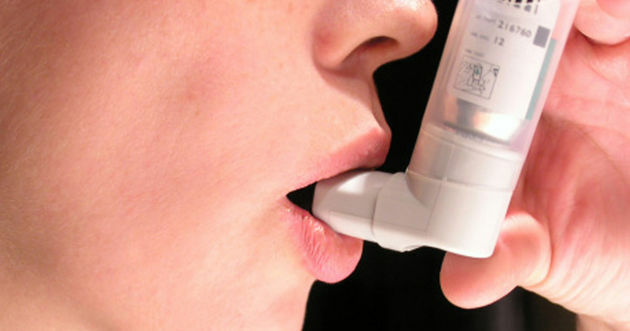 •	Use of inhalers to treat with medicine directly in the respiratory tubes. offer a quick relief of the symptoms for a short period of time (they usually work for only around 15min), and they are used at the moment of asthma attacks. Most of these inhalers open the airways by the action of a short-acting beta2-agonist. These inhalers shouldn't be used regularly. they are used from once to twice a day and, as the name already suggests, are used to avoid the asthma attacks and stop the symptoms. These inhalers are mainly composed steroids, which reduces the swelling caused by the inflammation and also reduces the sensitivity of the tubes. Because they control the swelling, these inhalers have to be used even when no symptoms are being presented, and the symptoms can get worse if they are not used properly. the way of action is very similar to the inhalers described in item 1, but their effects last longer (around 2 hours) which means that they are used less often.These inhalers are never used alone but always combined with a preventative one. This way the symptoms are managed with a lower dose of the preventative medication. There are other strategies that can help to manage the disease, for example, steroid tablets that act in the inflammation by reducing them and that act mainly as a short term. These tablets can also be composed by Leukotriene receptor antagonists, that also act by stopping the inflammation. And last, the most "extreme" treatment is the bronchial thermoplasty. This procedure consists of damaging part of the muscles that are around the airways, and this can stop the respiratory tubes to becoming narrow. This procedure is used only in cases of severe asthma because it's an invasive procedure and there is a risk of complications. MLA (Modern Language Association) "What is Asthma?." ScienceAid, scienceaid.net/What_is_Asthma%3F Accessed 25 Apr 2019. Chicago / Turabian ScienceAid.net. "What is Asthma?." Accessed Apr 25, 2019. https://scienceaid.net/What_is_Asthma%3F. Thanks to all authors for creating a page that has been read 1,734 times.